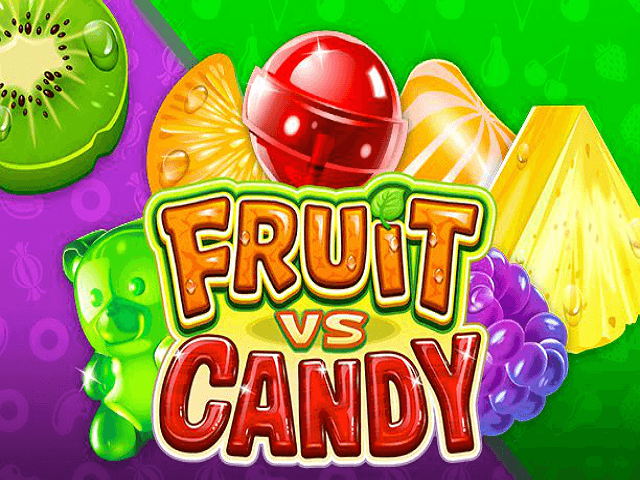 Microgaming has taken two popular themes in online slots – fruit and candy – to produce a sweet slot that offers 243 ways to win and a number of tasty bonuses and features. There’s plenty to tuck into in this game so stay with us as we guide you through how to play Fruit vs Candy and how you can get your hands on some treats. The first thing you have to do when you open up Fruit vs Candy is choose whether you want to play in Fruit or Candy mode. You can switch modes at any point during the base game; the only real difference between the two modes in terms of gameplay is the Free Spins feature. The mode you choose also determines the symbols on the reels. Both modes feature the standard playing cards from 10 to King and then either a selection of fruit or sweets. The highest paying fruit is the apple, which pays out 250 coins for a winning combination of five symbols, while in Candy mode it’s the lollipop symbol. The scatter symbol, which is the same in both modes, can also land you some big wins. Landing five of them anywhere on the reels will reward you with 50 times your stake and even just two symbols will return your stake. Setting up your bet is a bit fiddly as you have to open up the settings menu to configure your coin value and number of coins. Betting ranges from 30p to £4.50 and, as mentioned, there are 243 ways to win in Fruit vs Candy. It’s a low to medium-variance slot with a decent theoretical return to player of 95.77%. 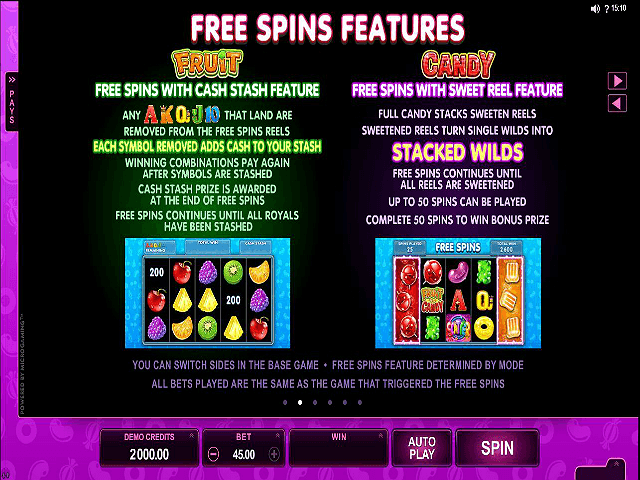 Both modes offer a Free Spins feature but with a slightly different twist in each one. The feature is triggered by hitting three or more scatter symbols, or just one if the Sugar Rush bonus is active. The Fruit version comes with a feature called Cash Stash, where the low-value symbols (the playing cards) that land are removed and replaced by cash sums. The free spins continue until all the card symbols have been replaced and your Cash Stash prize is awarded at the end of the Free Spins. In Candy mode, players benefit from the Sweet Reels feature, which is activated when you get three candy stick symbols in a stack. This sweetens the reel and also means that any wilds become stacked wilds, boosting your opportunities to win. 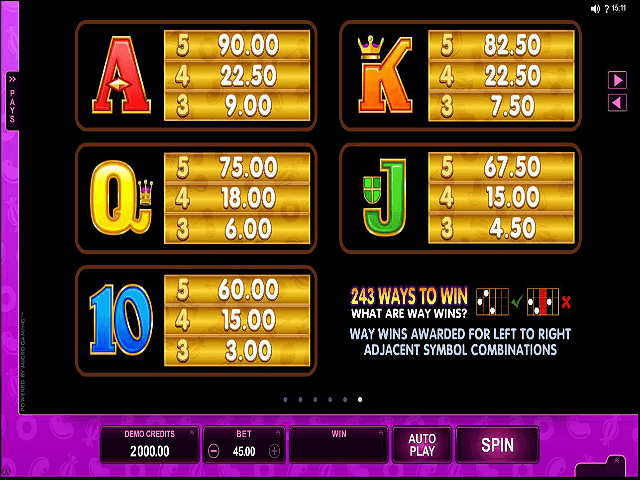 The feature continues until all reels are sweetened or until you’ve used up the maximum of 50 free spins. If you do reach 50 spins, you also get a cash bonus at the end – that's a pretty sweet deal. You can even get rewarded for non-winning spins in Fruit vs Candy thanks to the Goodie Bag feature, which appears randomly and can award you up to 20 times your stake. 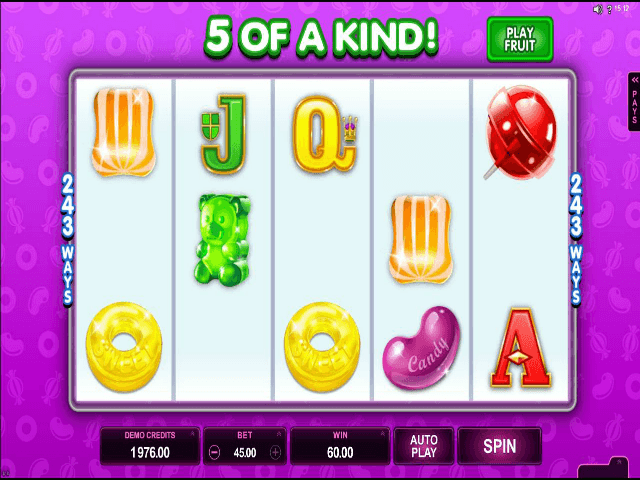 Similarly, the Sugar Rush bonus can be activated at any time on non-winning spins. This awards prizes of up to five times your bet for any high-value symbol (the sweets or fruits), plus you only need one scatter symbol to trigger Free Spins. As you can see, there are plenty of treats to get your teeth into in Fruit vs Candy, so tuck in! 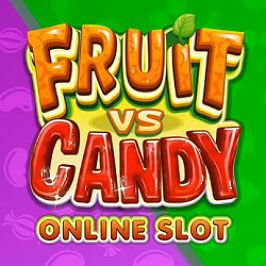 If you like Fruit vs Candy - You'll like these slots too!